1. She was born on January 15th, 1945 in Karlsbad, Sudetenland (now Karlovy Vary), Czech Republic. 2. Her full name is Marie Christine Anna Agnes Hedwig Ida von Reibnitz. 3. She is the daughter of Baron Günther Hubertus von Reibnitz and Countess Maria Anna Carolina Franziska Walburga Bernadette. 4. She is of Hungarian and German descent. 5. She was born shortly before World War II ended in Europe. 6. She has two half-siblings (from his father’s first marriage)-- Friedrich von Reibnitz and Margarita von Reibnitz. 7. Her father served as Sturmbannführer (equivalent to major) for the Nazi paramilitary organization, Schutzstaffel. 8. Her parents divorced not too long after her birth. 9. After her parents’ split, she, her brother, and her mother then moved to Australia, where the countess put up a beauty salon. 10. She also resided at her father’s farm in Mozambique and Austria for some time. 11. She took History of Fine and Decorative Art at London’s Victoria and Albert Museum, where she also worked as an interior designer. 12. She later put up her own interior design company, Szapar Designs. 13. She married English banker Thomas Troubridge on September 14th, 1971 at London’s Chelsea Old Church. 14. Her first marriage, however, did not last long. She and Thomas separated in 1973 and ultimately settled the divorced in 1977. 15. A month after her annulment with her first husband was finalized, she tied the knot with Prince Michael of Kent (Prince George, Duke of Kent’s son) on June 30th 1978 through a civil ceremony. 16. 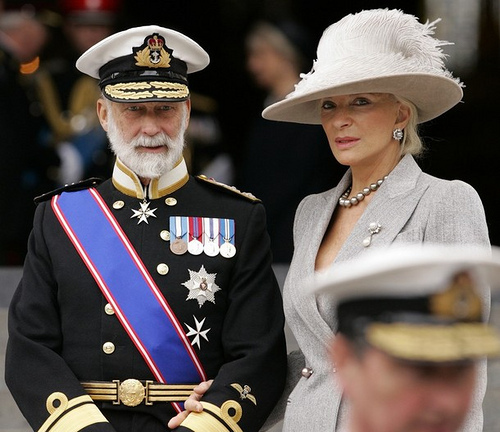 Her second marriage earned her the title Her Royal Highness Princess Michael of Kent, a female equivalent of her new husband’s own title. 17. Her husband renounced his succession rights upon marrying her as she observes the Roman Catholic faith. However, thanks to Succession to the Crown Act 2013, he was reinstated to the line of succession to the British throne. 18. She gave birth to her first child, her son Lord Frederick Windsor, on April 6th 1979, and to her second one, her daughter Lady Gabriella Windsor, on April 23rd, 1981. 19. She has lived with her own family at a Kensington Palace property—a five-reception, five-bedroom grace-and-favour apartment. 20. The Queen and the rest of the British Royal family fondly call her “Our Val”, a reference to the valkyries in Norse mythology. 21. She is six-foot tall, and she once famously remarked that she was "probably the first tall person to marry into the clan”. 22. She considers John Fowler –known as the éminence grise of English decoration—as the artist who “had the most influence” in her work. 23. She was previously commissioned to re-decorate a suite in Baltschug Kempinski, a luxury five-star hotel in Moscow, Russia. 24. She loves and cares for animals. She is a zealous supporter of three animal conservation organizations in Africa that advocate for the welfare and protection of elephants, rhinos, wild dogs, and cheetahs. 25. She is “particularly fond” of her Burmese and Siamese cats. 26. She has a passion for gardening, and even does lectures on the history of garden. 27. She and her husband do not carry official royal duties nor receive funds from the Privy Purse. 28. She has been dubbed by some as “Rent-a-Kent” for allegedly taking advantage of her connections and for allegedly showing up at social gatherings regardless of scale and importance at a certain “price” (freebies and gifts). 29. She was once quoted saying she had “more royal blood in her veins than any person to marry into the royal family since Prince Philip" in an interview with an American magazine. 30. She is a successful author, and has written three historical novels and three non-fiction books thus far. 31. Her first two books were tainted with accusations of plagiarism, which the Princess Michael of Kent blamed on the researchers. 32. She once had British Airways fly her from Manchester to London on a special plane for free! 33. She takes part in more than 200 charitable engagements each year to support over 100 organizations for which she advocates. 34. In May of 2004, she received some huge flak after allegedly telling a group of “noisy” black people at a New York restaurant to “get back to the colonies”. She later denied the accusations. 35. She famously defended Prince Harry after the latter wore a Nazi uniform at a party. "But I believe that if he had been wearing the Hammer and Sickle there wouldn't have been so much fuss made," she said in an interview. 36. She was yet again on the headlines on September 2005 after she was recorded throwing “deeply offensive” remarks at the British Royal family. Mazher Mahmood, a News of the World reporter, gained her confidence after disguising himself as a sheikh and pretending to be a prospective buyer of Nether Lypiatt Manor, her country home in Gloucestershire. She allegedly told him she found the Princess of Wales to be “nasty” and “bitter”, and that she thought Prince Charles was “jealous” of his ex-wife’s popularity. 37. She previously sat as president of a New Bond Street gallery, the Partridge Fine Art. 38. She has confessed to having Botox injections to get rid of her wrinkles. “Everybody over the age of 25 should take it,” she said in an interview. 39. Rumors about her infidelity started as early as 1985 when she was seen leaving Texan millionaire J. Ward Hunt’s apartment in a red wig. 40. She lives life the old-fashioned way. "I live in the 18th century in my mind,” she previously admitted. 41. She is fully aware of her bad girl image, but she does not care. “"They will always have to have a bad girl in the family… but I'm not going to have sleepless nights worrying about what the good citizens of Newcastle are thinking about me," she said. 42. She is a self-confessed workaholic. 43. She is a Capricorn. 46. She is quite obsessed with a French, skin-pricking beauty procedure called mésothérapie. 47. In a previous interview, she revealed she does not usually go to restaurants because they’re “too extravagant”, and that she’d rather invite guests over at their Kensington Palace flat for dinner. 48. English entrepreneur and multimillionaire Peter de Savary once gifted her with a building plot in Antigua that cost some £150,000. She also received a £115,000-racehorse from an American admirer some time ago. 49. She was seen kissing and walking hand in hand with Russian Mikhail Kravchenko, who was 21 years her junior, in 2006. She later dismissed any romantic connections with the millionaire and said that they were merely just friends. 50. She sparked outrage in December 2017 after wearing a blackamoor—a stylized figure of an African man in a subservient form—brooch during a Christmas dinner at the Kensington Palace. Prince Harry’s fiancée (as of this writing) Meghan Markle, who is of European and African descent, was present at the banquet. 51. "Deep down inside me I always hear my mother's words: 900 years of breeding must be worth something,” she once said. 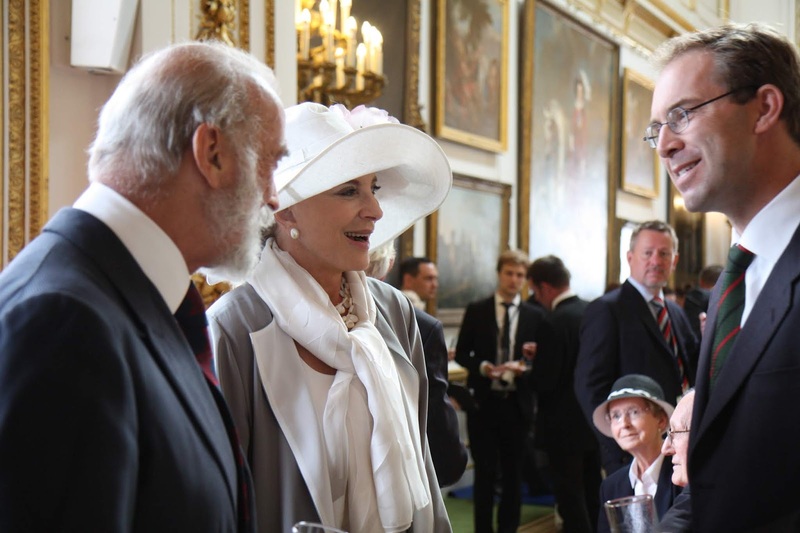 If Princess Michael of Kent had true class and true breeding she would not have to go around talking about it. Real aristocrats do not brag about their ancestors but take a low profile and do not advertise the fact. I think the Queen was right when she said Princess Michael is "too grand for us".